Sevy is a streetwise seventeen-year-old girl struggling to survive in the slums of a violent city. When she meets Jarro, the charming leader of a street gang, she is determined to win his heart by being the best thief he's ever seen. But unfortunately for Sevy, Jarro's jealous mistress isn't so pleased to have the young girl join the gang, and is determined to use the darkest magic imaginable to stop her. I know when I'm enjoying a book when I get to the last page and wish that the story would continue on. This book grabbed me from the very first page and held me until the very last. Thief has all the elements of a captivating fantasy: truly dark magic, noble characters, a sinister villain, and an unpredictable plot. 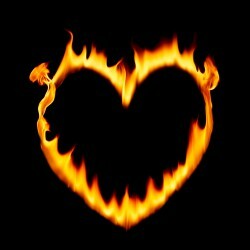 And even though I don't generally like romances, the relationship between Sevy and her beloved Jarro captivated me. The book is grim and, especially at the end, quite graphic. However, the violence and gore were germane to the plot and setting. And although I admit that, at times, I was put off by the language (I'm never a fan of the c-word), but at the same time, it too reflected the grittiness of the city and its characters. 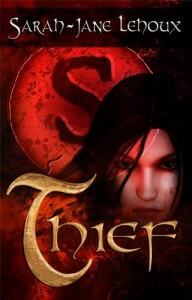 Thief is one of the best books I've read all year, and I look forward to reading the squeal.